When you're wrapping gifts for under the Christmas tree, they are never complete without a colorful bow to top it off. 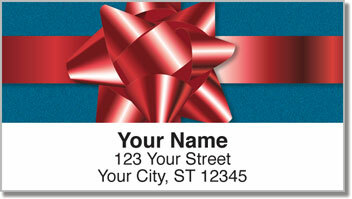 Now you can put the same finishing touch on all your holiday greetings! Four different colored ribbons create an eye-catching way to prepare your outgoing mail for the winter season and beyond! 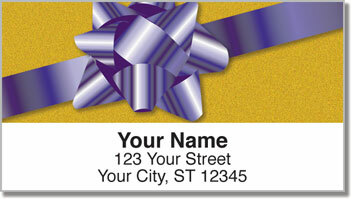 They are also great for mailing birthday cards. 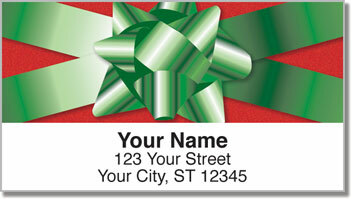 Christmas Bow Address Labels from CheckAdvantage can be quite helpful around the holidays. We all know how things can get hectic. So having a way to easily finish filling out envelopes is a convenient time-saver. Even Santa Claus could use them this time of year! 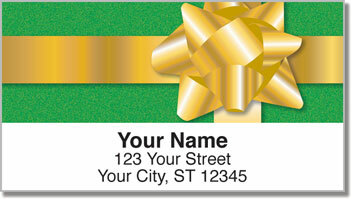 Get your own Christmas Bow Address Labels today! We also off matching personal checks!